"If a priest has made it the principal work of his life to fill his mind and heart with Christ’s teachings, the overabundance in his heart will cause his lips to speak. And his homily need not be a work of oratory. The Holy Spirit, living in the priest’s heart as in Its own temple, will preach through his humble lips." In 2010, the Lord enabled my matushka and me to spend some time in those places so permeated with the blood and tears of those who suffered there. During our four-week long travels down the mighty Yenisei River, we often called to mind awful pages from the Gulag Archipelago that described how hungry, cold, and exhausted people were brought on barges to the Stalinist camps, while other victims were drowned in the deep, fast-moving, icy river current. During that pilgrimage, we collected mementos of the New Martyrs that had suffered for the Christian Faith. They included several pebbles from the mass graves in Norilsk, a little barbed wire dating back to the period, and pieces of the remnants of a wooden bridge from the town of Dudinka, over which tens of thousands of the ‘repressed’ [i.e. political prisoners] were moved to their places of incarceration and slave labor. Among the most famous of the exiles who served terms of incarceration and exile in the grim area of Karsnoyarsk in the 1920s and 1930s was Holy Hierarch and surgeon Luke Voino-Yasenetsky. The pages of Archbishop Luke’s memoirs provide an expressive, almost pictorial representation of his life in the camps: brutal cold and hunger were constant companions of the professor-clergyman. But sufferings did not break this hero of the spirit. On the contrary, in one of his letters from the time, he wrote that suffering was something that, not unsurprisingly, cleansed the soul. Holy Hierarch St. Luke was an unusual person, with an improbable fate. Everything about his life was extraordinary, and was filled with paradox. Archbishop Luke did not perish in a camp, but he passed through every circle of hell. He was not part of any political opposition; yet throughout his biography, he was marked as a social outcast. A physician who wrote scholarly works while incarcerated in a prison cell, he not only lived to see those works published, but for his efforts was awarded the Order of Stalin during Stalin’s lifetime. Holy Hierarch St. Luke was a man of boundless faith, unbending will, and devotion to duty. The pages of Bishop Luke’s memoirs present a very vivid picture of his life in exile: bitter cold and hunger were the professor/clergyman’s constant companions. Yet, suffering could not break his noble heart. On the contrary, in one of his letters from that period, he wrote that he had come to love suffering as something that, amazingly, cleansed the soul. Known in the world as Valentin Felixovich Voino-Yasenetsky, he was born on April 27, 1877 in Kerch, to pharmacist Felix Stanislavovich and his wife Maria Dmitrievna Voino-Yasenetsky. The future hierarch’s parents soon moved to Kiev, where in 1896 he graduated simultaneously from secondary school and from an art school. The youth manifested artistic talent, and a course permeated and inspired by religious ideas took shape. Valentin went from church to church and to the Kiev-Caves Lavra, and made many sketches of people at prayer, for which he received an award from the art school. He wanted to enroll in the Art Academy, but a desire to directly help the people caused him to change his plans. Valentin Felixovich spent one year studying law, then transferred to Kiev University’s college of medicine, and graduated with honors. Ignoring his friends’ attempts to persuade him to pursue research, he announced his intention to be a “muzhik” doctor, spending his life helping the poor. In January 1904, during the war with Japan, he was sent to the Far East as part of a Red Cross hospital staff, and worked in the city of Chita, as director of the hospital’s surgical division. There he met a nurse named Anna Lansky – whom the wounded referred to as “the holy sister” – and they married. From 1905 to 1917, the future hierarch worked as a local doctor in various district hospitals (in the Simbirsk, Kursk, Saratov, and Vladimir Administrative Districts) and lived a happy life. During that period, he performed many surgical procedures on the brain, eyes, heart, stomach, intestines, bile ducts, kidneys, spinal vertebrae, joints etc., and introduced many innovative surgical techniques. During World War I, religious feelings that had been forgotten in the great press of scientific work came to the fore, and he began to regularly attend church. After the war, the Holy Hierarch was in charge of a hospital in the Simbirsk Administrative District. There he performed surgery day and night: ophthalmic surgery, liver and stomach surgery, trepanning of the skull, and gynecological operations. The remarkable surgeon’s fame quickly spread. People from other districts would line up before the hospital gates. On one occasion, he gave sight to a poor young man who had been born blind. That young man gathered together blind people from all over the area; holding on to one another’s sticks, they came in a long line to the hospital. In 1917, he became the principal physician and surgeon at Tashkent Hospital, and at the same time taught at a medical school, which was later reclassified as a college of medicine. In October 1919, based on false accusations made against him by a worker at the hospital morgue, Valentin Felixovich was arrested, and came very close to being executed. His arrest was a great shock to his wife, who was sick with tuberculosis; several days later, at the age of 38, she died, leaving him with four minor children to raise. Voino-Yasenetsky became a clergyman in 1921, at the very height of the wave of persecution visited upon the Russian Orthodox Church. He feared neither impending repression, nor the threats [his ordination] posed to his quickly and deservedly advancing scientific career. In 1923, the wave of renovationism1 reached Tashkent. Diocesan Bishop Innokenty (Pustynsky) left the city without turning over the episcopal throne to anyone. Then Fr. Valentin and Archpriest Mikhail Andreev, who was well known in the city, took upon themselves the task of administering the diocese. They brought together all of the clergy and church wardens who had remained faithful to Patriarch Tikhon, and held a conference. With great determination Voino-Yasenetsky consistently opposed the Renovationist schism, and resolutely cut off any attempts by the authorities to turn him into an “agent within the Church.” Thus, he was of no use to Soviet Russia, and in 1923, his peregrinations through incarcerations and exile began, continuing with new trials endured in the 1930s and 1940s. In May 1923, Priest Valentin was tonsured a monk, and was named after Holy Apostle and Evangelist St. Luke, who, as is well known, was not only an Apostle, but also a physician and artist. On May 12, 1923, Hieromonk Luke was secretly consecrated Bishop of Tashkent and Turkestan. One month after his consecration, Bishop Luke was arrested for the first time for his Faith. In the Tashkent GPU prison he completed his later to be famous great work, Notes on Purulent Surgery. In August 1923, Bishop Luke was sent to the Moscow GPU. In the Capital, Vladyka was granted the right to live in a private apartment, and he was able to concelebrate Liturgy with Patriarch Tikhon. In Moscow, Bishop Luke was again arrested; soon he was exiled to Yeniseisk, Siberia. He had to endure the last part of the journey to Yeniseisk – almost 400 km, in a sled, during the fierce hard frost of January. In March 1924, he was once again arrested, and sent into exile in Turukhansk. Upon completing his term of exile in 1925, Vladyka returned to Tashkent, and was once again appointed to the cathedra of Tashkent and Turkestan. In 1930, he was again arrested. In 1931, after one year of incarceration, he was sentenced – without trial – to three years’ exile in Arkhangelsk. Under such awful conditions, the bishop-surgeon continued to treat and perform surgical operations on people. In January 1944, Vladyka was appointed Archbishop of Tambov and Michurinsk, while also continuing to do his medical work; he was in charge of 150 hospitals! In May 1946, Vladyka Luke was appointed to the cathedra of Simferopol and Crimea. However, Archbishop Luke’s long years of imprisonment and exile, the rigors and sequel of things he experienced throughout his difficult life took a toll on his health. He began to lose his sight, and his heart began to fail more and more. As long as he retained his sight, Vladyka tried to serve the Liturgy every day. He continued to serve even after he had gone completely blind. Vladyka’s ascetic struggle was amazing. After all, he was burdened not only by blindness, but by diabetes and attendant severe weakness, so that all of his vestments would be wet [with perspiration]; moreover, his legs were afflicted with thrombophlebitis and gout. Before each service, he had to re-bandage his legs. It was during his administration of the Crimea Diocese that Vladyka Luke delivered most of his homilies. He had begun to preach in Tashkent, but for many years, because of his arrests and exiles, had had to remain silent. However, from the Spring of 1943, when a church was opened in Krasnoyarsk, and until the end of his life, Archbishop Luke preached tirelessly. He composed instructional materials, spoke them aloud, made necessary corrections, and disseminated printed brochures of his instructions in cities throughout the land. He would say, “I consider it my principal hierarchical duty to preach Christ everywhere.” Over the course of 38 years of priestly service, Vladyka Luke delivered 1,250 homilies. What enormous courage, what solid faith and unquestionable hope in God’s help did it take to tell people the truth in the midst of a torrent of lies, cynicism, and lack of faith! On June 11, 1961, the feast day of All Saints in the Russian Land, and at the age of 84, Archbishop Luke reposed. For three days, an unending wave of people came to the coffin of their Vladyka and physician, and at his funeral, the procession stretched out for 3 kilometers. Soon after Holy Hierarch St. Luke’s blessed repose, reports began to surface of many sick people receiving healing after coming to pray at his grave. In August 2000, the Council of Bishops of the Russian Orthodox Church canonized St. Luke for veneration as a Saint throughout the Church. 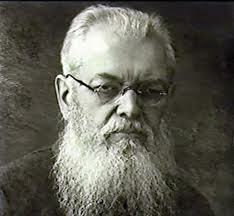 The holy hieroconfessor St. Luke Voino-Yasenetsky was a precious vessel of Divine grace. Like his heavenly patron, the Holy Apostle St. Luke, he was a physician and a furtherer of Apostolic work. Like St. Paul, he preached Christ’s salvific word not only in church, but in prison, and in exile, and to both friends and persecutors alike. He was one of those exceptionally important people who are incapable of doing something merely for themselves alone, incapable of limiting themselves to doing what they like. For them, the duty of serving one’s neighbor is not an empty phrase. Accordingly, they do not make random choices in pursuing their activities, and do not build on others’ foundations, but instead strive to discover what has to be done here and now, and what will be useful to all society. These are builders, workers who bravely enter the field of life in response to the Lord’s call. With the ten talents given them by God, they produce another ten. And that is a realized Gospel model for all of us pastors of the Church. (Presented on April 2, 2013 at Holy Trinity Monastery, Jordanville, NY at the annual Pastoral Retreat of the Eastern American Diocese of the Russian Church Abroad). 1. Renovationism – a schismatic movement that officially appeared after the February Revolution of 1917. Its declared goals were democratization of the administration and modernizations of Divine Services. It stood in opposition Patriarch Tikhon’s administration of the Church. From 1922 to 1926, the movement was the sole Orthodox Church organization officially recognized by the government authorities of the RSFSR. When the Renovationist Movement was at its most influential – during the mid-1920s – more than half of the Russian episcopate and parishes were subject to the Renovationist administrative structure. 2. 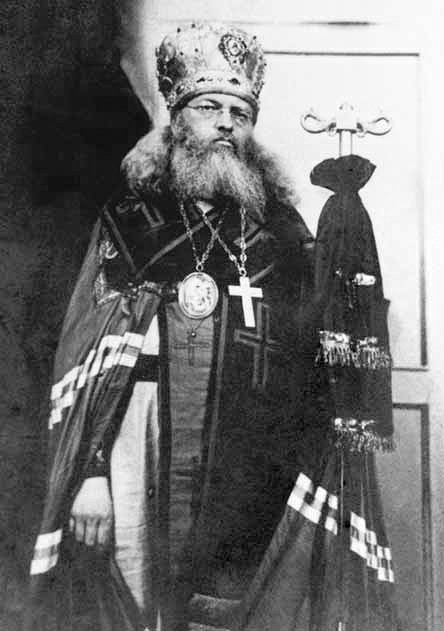 In May 1923, the exiled Bishop Andrey (Ukhtomsky) of Ufa arrived in Tashkent, having recently met with Patriarch Tikhon, by whom he was appointed Bishop of Tomsk and given the right to elect candidates to the episcopacy and consecrate them in secret. Soon after, Valentin Felixovich was tonsured a monk in his own bedroom with the name Luke, and then named Bishop of Barnaul, vicar of the Tomsk Diocese. Inasmuch as two or three bishops are required for a valid episcopal consecration, Valentin Felixovitch traveled to the city of Panjakent, close to Samarkand, where two hierarchs lived in exile – Daniel (Troitsky), Bishop of Volkhovo, and the Bishop of Suzdal. The consecration of Archbishop Luke with the title Bishop of Barnaul took place on May 31, 1923, and, when informed of it, Patriarch Tikhon declared it valid. Popovsky, Mark. The Life and Vita of Voino-Yasenetsky, Archbishop and Surgeon. – Paris: YMCA-Press. 1979. Voino-Yasenetsky, V.F. (Archbishop Luke). I Came to Love Suffering… An Autobiography. – Moscow: Publication of the Sisterhood of Holy Hierarch St. Ignaty of Stavropol. 2008. Lisichkin, Vladimir. Luke, Beloved Physician. – Moscow: Publications Council of the Russian Orthodox Church. 2009. Maruschak, Vasily. Holy Hierarch and Surgeon. Vita of Archbishop Voino-Yasenetsky. Moscow: Danilovsky Herald. 1997. Shevchenko, Priest Georgi. Greetings from Holy Hierarch St. Luke, Beloved Physician. – St Petersburg: Nauka. 2009. Gluschenkov, Vladimir. Holy Hierarch St. Luke – A Look Into the Future / With the Blessing of Most-holy Patriarch Alexey II of Moscow and All Russia. – Poltava Diocese: Holy Transfiguration Mgara Monastery. 2002. Lisichkin, V.A. Holy Hierarch St. Luke’s Path to the Cross. – Moscow: Publication of the Moscow Patriarchate. 2001.